This week I turn my “pulpit” over to one whose wisdom is greater than my simple scratchings and henpeckings at my keyboard. While I already had a “Sermon” in my head, the simplicity and directness of the following struck me to the very heart of my inner core. I hear about people who have “left The Church” or “Fell away from”, and it occurred to me that the cleric behind the podium SHOULD have followed up on WHY his “flock” diminished by ONE. I know if something precious went missing I would search for it, inquire about it, and possibly even WORRY about it’s loss. And yet, hundreds DAILY leave churches without so much as a backward glance and the priests do nothing to find out WHY?? If even so much as ONE of my parish decides to leave, I MOURN their loss…much the same as the parable of The Prodigal Son (REF: Luke 15:11-31)…how so do they NOT? It is in this light that it occurred to me that the term “shepherd” means more than “Stands up on Sunday and speaks for an hour then leaves them to their own devices”…and this is the topic for this week’s Sermon. I stumbled across it while researching today’s “Saint of the Day” and saw the TRUTH in it’s words…and so, I share it with you. If you want to live up to the standard set by God, you must imitate his example in whose likeness you are made. You are Christians and that very name means that “friend of man” (cf. Wisdom 1:6). 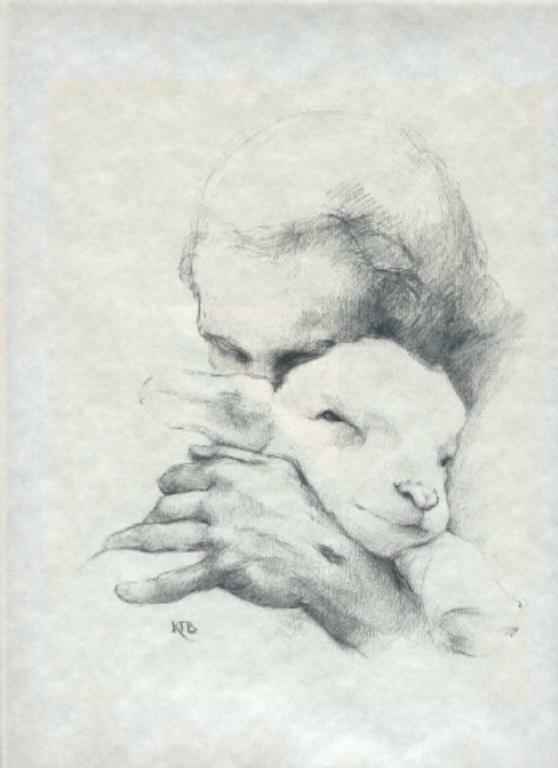 Sketched out in the gospel in parables and hidden sayings, I find a man who is shepherd of a hundred sheep (Luke 15:4). When one of them left the flock and wandered off the shepherd did not stay with those who stayed grazing in the flock without wandering. On the contrary, he went off to search for the single stray. He followed it through countless valleys and ravines, climbed many difficult mountains, searched with great trouble in lonely places, until he found it. When he had found the lost sheep, far from beating it or driving it to return to the flock, he laid it on his shoulders and gently carried it back and returned it to its fellows. The Good Shepherd rejoiced more over this one that was found, than over all the others. 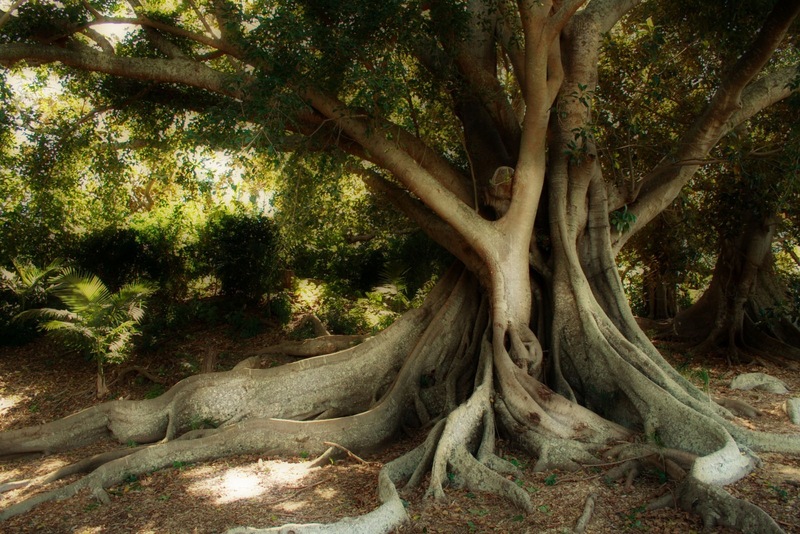 Let us think over the hidden meaning of this parable… The whole story has a sacred meaning and it warns us not to think of any man as lost or beyond hope. We must not easily despair of those who are in danger or be slow to help them. If they stray from the path of virtue, we should lead them back and rejoice in their return and make it easy for them to rejoin the community of those who lead good and holy lives. By no means! But I tell you, if you do not repent, you will all perish as they did! He said to him in reply, ‘Sir, leave it for this year also, and I shall cultivate the ground around it and fertilize it; it may bear fruit in the future. If not you can cut it down. '” -Luke 13:1-9. Saint Cunegundes was the daughter of Sigefried, the first Count of Luxemburg, and Hadeswige, his pious wife. From her cradle her virtuous parents instilled into their daughter the most tender sentiments of piety. When she was of an age to marry, they chose for her spouse Saint Henry, Duke of Bavaria, who at the death of the Emperor Otto III was named King of the Romans and crowned on the 6th of June, 1002. Queen Cunegundes was crowned at Paderborn on Saint Laurence’s day. 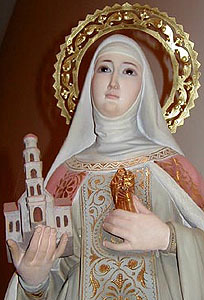 Going once to make a retreat in Hesse, Saint Cunegundes fell dangerously ill, and she made a vow to found a monastery at Kaffungen, in the diocese of Paderborn, if she recovered. This she executed in a stately manner, and gave it to nuns of the Order of Saint Benedict. Before it was finished, Saint Henry died in 1024. She earnestly recommended his soul to the prayers of the empire, and especially to her dear nuns, and expressed her longing desire to join the Sisters. She had already exhausted her treasures in founding bishoprics and monasteries and in relieving the poor, and she had therefore little left to give. But intending to embrace perfect evangelical poverty, to renounce all things in order to serve God without obstacle, she assembled a great number of prelates at the dedication of her church of Kaffungen, on the anniversary day of her husband’s death, 1025. After the Gospel was sung at Mass she offered on the altar a relic of the true cross, and then, putting off her imperial robes, clothed herself with a poor habit. She prayed and read a great deal, worked with her hands, and took singular pleasure in visiting and comforting the sick. In this way she passed the last fifteen years of her life.